Burlington, Mass. – February 23, 2016 – Nuance Communications, Inc. today announced availability of Dragon® for Mac Medical, the latest version of Mac-based speech recognition software for clinicians. Updated with a new, more accurate speech recognition engine and designed with a specialized medical vocabulary, Dragon for Mac Medical improves clinical workflows by allowing clinicians to dictate documentation of patient encounters directly into Mac-based electronic health records (EHR), such as MacPractice, or other systems. This enables clinicians to complete documentation faster, and with greater detail and specificity, leaving more time for patient care. Dragon for Mac Medical features an enhanced speech recognition engine that offers up to 15 percent greater accuracy over the previous version, and supports updated medical vocabularies for more than 90 medical specialties and sub-specialties. Dragon for Mac Medical learns a clinician’s unique voice over time and grows even more accurate, ensuring that important patient details and information are captured. The software also allows clinicians to set up custom words for terminology unique to a location or area of specialty, and create simple dictation commands for multiple lines or formatted lines of text (e.g. “Insert negative ROS.”). 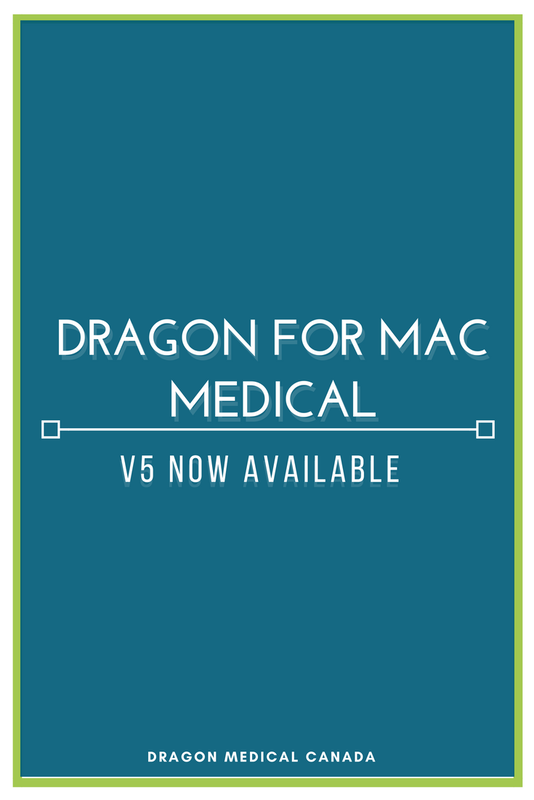 Dragon for Mac Medical is currently available for digital download for a limited-time promotional price of $999 from the Dragonmedical.ca online store in Canada. OS X Mavericks (10.9), OS X Yosemite (10.10) or OS X El Capitan (10.11) is required for Dragon for Mac Medical.